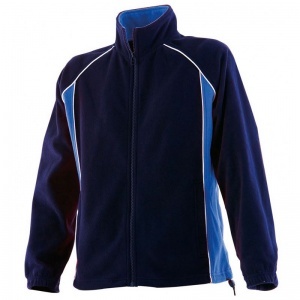 Great looking full zip fleece anti-pill microfleece. Raglan sleeves with contrast panelling and white piping. Toggled hem and zipped front welt pockets. Perfect for Embroidery. Shaped side seams.